Founded in 1824 by Alexander Reid, a barley farmer and school teacher, The Macallan was one of the first distillers in Scotland to be legally licensed. Residing on a plateau above the river Spey in the north-east, the original name of the area was Maghellan, taken from the Gallic word “magh”, meaning fertile ground and “Ellan”, from the Monk St.Fillan who held a close association with the church that stood in the grounds of The Macallan Estate until 1400. An obsession with quality has been the hallmark of The Macallan since founded and it now has a firm reputation as one of the world’s leading single malt whiskies. A foundation built on impeccable quality and distinctive character which draws on the influences of Spain, North America and Scotland, their respective natural raw materials, combined with traditional methods and craftsmanship. The Macallan is founded upon a set of six guiding principles, from a strong sense of place, to the passion and craftsmanship of the people and process. 1. The Easter Elchies House, a stunning Highland manor home, built in 1700 from locally quarried sandstone for Captain John Grant sits upon the 390-acre Macallan Estate. Regarded for its natural beauty and farmed in harmony with the environment. 2. The Macallan’s 24 Curiously Small Stills are among the smallest on Speyside, each holding an initial charge of 3,900 litres. Their unique size and shape give the spirit maximum contact with the copper, helping to concentrate the new make spirit and provide the rich, fruity, full-bodied flavours characteristic of The Macallan. 3. Only the finest quality spirit is selected from the stills to ensure the signature mouth-feel, fruity aroma and full-bodied flavour. The colourless spirit is selected at just under 70% ABV and is the starting point for all Macallan whiskies. 4. Oak casks account for up to 80% % of the final aromas, flavours and colour of The Macallan. Sourced, crafted, toasted and seasoned under the watchful eye of The Macallan Master of Wood, the hand-picked casks are delivered to the demanding specifications of The Macallan Master Distiller and his team. The Macallan works closely with fully integrated ‘tree to finished seasoned cask’ companies in Spain; to identify the oak trees in the forests of northern Spain, fell the trees, saw and air dry the oak staves before shipping them south for further air-drying to further reduce the moisture. The casks are then seasoned for 18 months before making the journey to Scotland where they are filled with The Macallan new make spirit. Once filled, the maturing spirit remains undisturbed in the same casks for the necessary number of years for each Macallan expression. 5. All colour in The Macallan whiskies is natural, delivered by the interaction of the new make spirit and the oak casks. From light oak through to darkest mahogany, these natural colours remain ‘fixed’, as opposed to artificial colour which fades relatively quickly in bright sunlight. As wood is a natural product, each tree is different and in turn, imparts different flavours and colours to the whisky during maturation. Great skill is required by the Master Whisky Maker to achieve consistency of natural colour from bottling to bottling. 6. The spirit of The Macallan is the culmination of place, production, people and passion. Macallan unveiled its new $250+ million (AU) distillery in May 2018. The building was designed by London architects Rogers Stick Harbour + Partners and is deftly built into the Easter Elchies estate landscape. According to the architects, the roof structure of the distillery is the most complicated timber roof structure in the world, comprising more than 1,800 single beams, 2,400 roof elements, and more than 380,000 individual components. “The building makes a statement about us in its shape and form. It’s incredibility aesthetically beautiful and has a marvellous flow from the production process to the visitor experience. 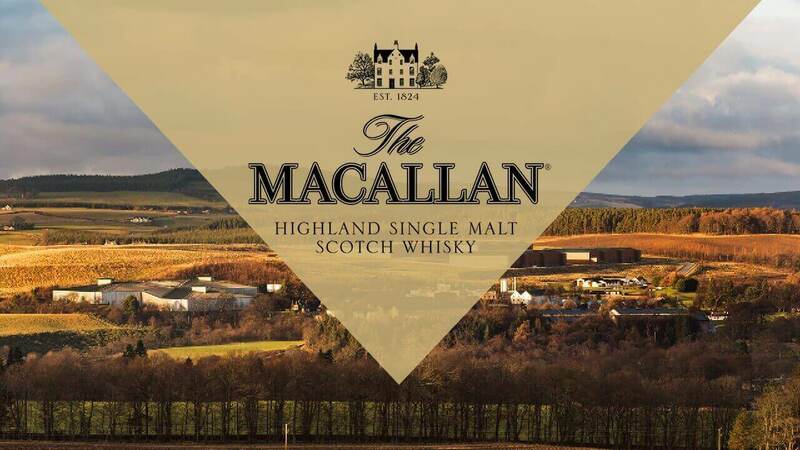 It’s very distinctive,” says Ken Grier, creative director for The Macallan. He says that the building’s design was in part inspired by images of some of the greatest wineries in the world. 95% of the energy consumed by the facility will be from renewable resources. Inside, guests take an immersive brand experience from the whisky’s production to the effects of barrel-aging on the liquid. The experience is multi-sensory so you can see, touch and actually nose the different whiskies, while the bar will include 952 bottles for whisky connoisseurs to try. While the distillery is larger than the Macallan’s previous facility, Grier notes it was important that every aspect of the process be identical to the original distillery or, in some cases, slightly better. “The stills are a duplicate of the previous stills. We took incredibly detailed measuring of those.” He also says that the production of the stills, which took 6 months each to make, represent the largest copper order ever in the industry.